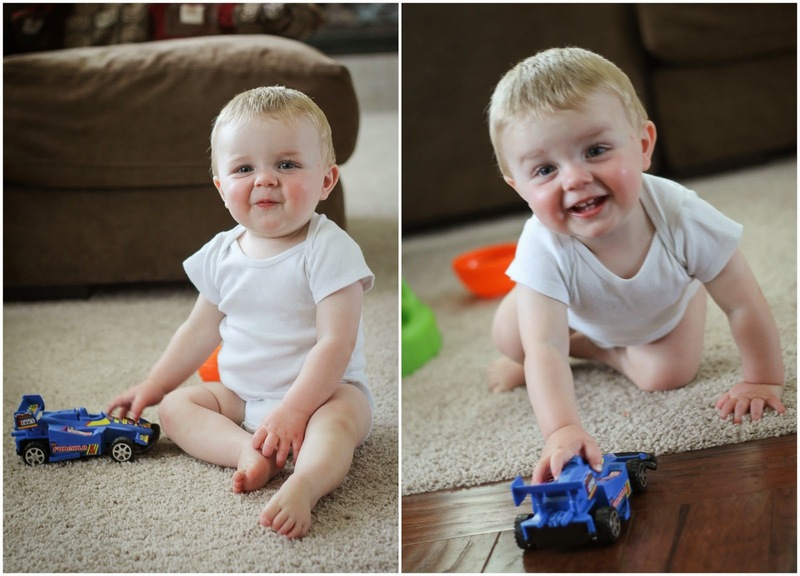 Seeing All Sides: Holden Beckett: 1 Year Old! We are already one whole week into your second year of life. A week ago today was the one-year anniversary of your birth. It doesn't even seem possible that it's been a whole year since that day when I went into labor at school. A year of holidays. A year of experiences. 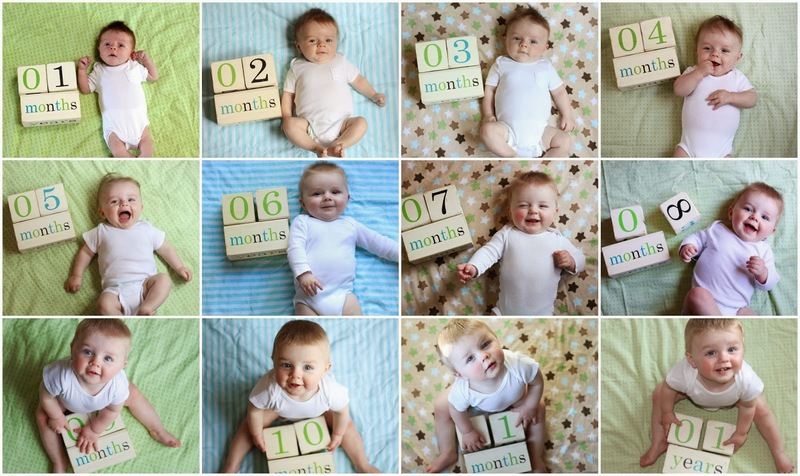 A year of cuteness. And a year of changes. A year that I can't imagine experiencing without you. Nor do I want to. You have added such joy to what we already thought was the perfect family. Yet, somehow it's even more perfect here with you. As much as you once were my mini-me, it's not the case anymore! I think you're a good mix of Daddy and me, and with each passing day, you look more like your brother. Sometimes I look at you briefly and I think I'm looking at Brantley. You share so many of the same facial expressions and you each have that big round head. Speaking of, you adore your brother now more than you ever have (and you've always adored him)! He loves to be your comedian and you are constantly feeding to his antics and laughing at him. It's adorable, really. It's fun watching the two of you play together since you are finally to that age when you can play. You have your spats every now and again, but for the most part, he adores you as much as you adore him. 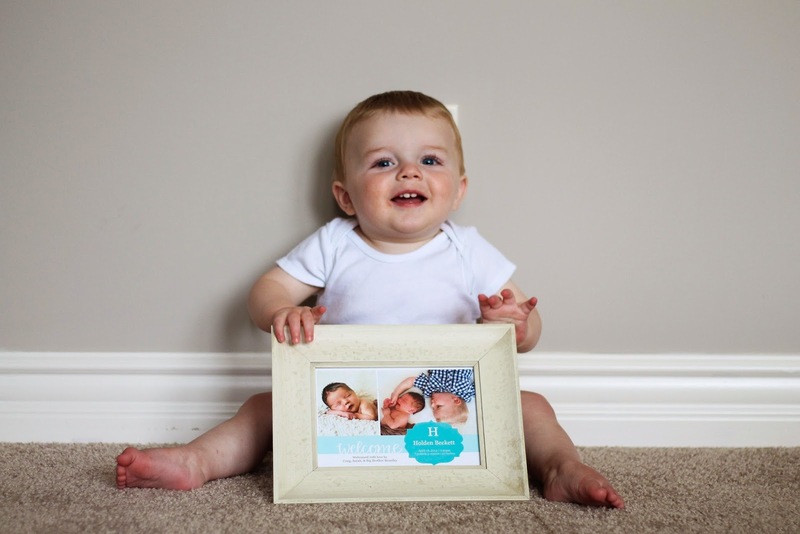 You have something very special in a brother who is only 21 months older than you and I look forward to watching your special relationship grow. I can only hope and pray that your bond grows as the two of you do, too! You are a sweet boy, Holden, but you can also be very ornery. More than anything, you love climbing the stairs. You will climb two or three and then watch and wait for us to come get you. Then you dart up the rest with a smile on your face the whole way. You love pushing around cars (or anything with wheels), rolling/throwing balls back and forth, and playing peek-a-boo with one of us on each side of the ottoman. You are, and have always been, a Mama's Boy which, of course, I have always loved. But it seems you are becoming more of a Daddy's Boy by the minute. It makes me a little sad, but I also know how fantastic of a daddy you have and quite honestly, he probably is the more fun of your two parents. :) Seeing you interact with Daddy is almost as great as having my own Mommy's Boy. 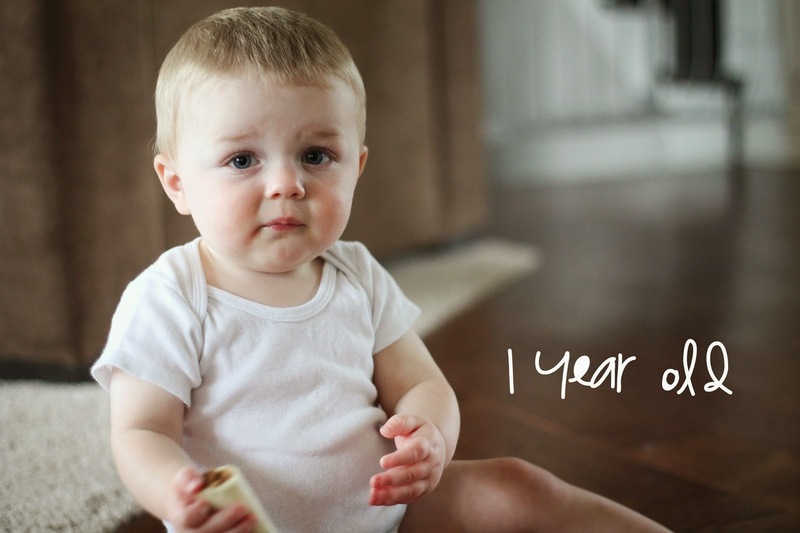 Holden, you are just the sweetest, cutest, happiest 1-year old. You are so perfect in my eyes and I will cherish the past year for forever and ever. You are growing into a handsome and independent toddler, and despite loving the past year, I look forward to the next phase even more than the last. Your mommy and daddy are madly in love with you, Holden Beckett, and we couldn't be more proud! Happy birthday, Little Stinks! Words | Lots of Da-das and Ga-gas. The occasional Ma-ma. Pa-pa last weekend and I'm pretty sure you said Dog-gy a couple of weeks ago. Activity | Crawling, climbing stairs, cruising around furniture, standing on own (prompted) for a few brief seconds, climbing on everything, pushing cars and making a "Brrrmmmmm" sound, throwing/rolling balls, clapping, waving, playing independently and with Brantley. Food | Whatever we are eating is what we give you. You eat almost anything, but you're not the biggest fan of veggies. Like your brother, you love fruit! We switched you to a mix of whole milk and formula about a week before your first birthday. We're still trying to finish the last container of formula, then it's all whole milk from there! The biggest surprise (and greatest part about having a 1-year old), no more bottles! Even though it took us forever to wean Brantley from the bottle (he would drink water, but not milk in a sippy), we decided to try milk in a sippy a day after your first birthday. To our surprise, you took it without throwing the tiniest of fit. We packed away our bottles a couple of days later! Sleep | About 10 hours each night. Two naps per day. The morning is usually shorter and afternoon is a longer 2-ish hour nap. Bedtime/Waketime | Bedtime around 7:30pm. You typically awake around 5am, but you will drink a bottle and fall back to sleep until around 6:30am. Teeth | Six teeth. (2 on bottom and 4 on top). Wardrobe | Pretty true to size, but still some 6-12 month things. 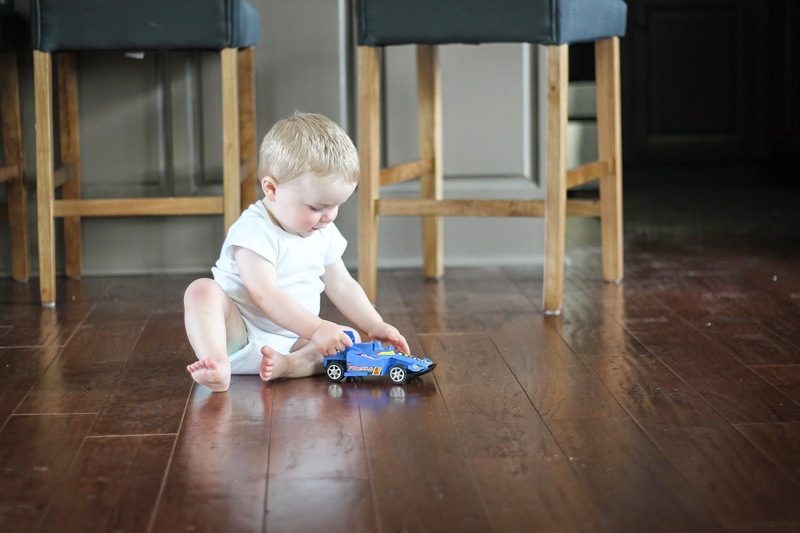 Likes | Brantley, eating, cars, balls, baths (yep, back to liking! ), showers (yep, this too! ), the stairs, Miss Stephanie and her husband Rollie and son Dalton, your new Pottery Barn chair, Kinnick, Mommy, Daddy. Mommy's Fave | You are acting like such a big boy these days. 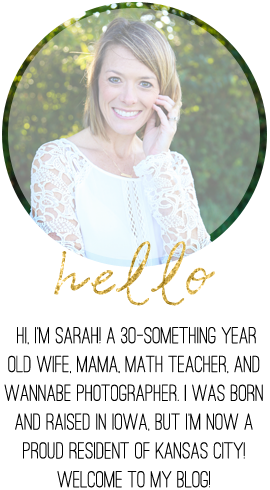 It's apparent you are no longer a baby, and I love, love, love this stage of life! Such a sweet sweet letter! Isn't it amazing how siblings can make the same exact facial expressions. That's one thing that has really blown my mind. What a wonderful year!